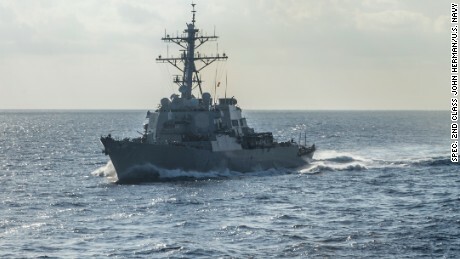 The Trump administration announced Wednesday that the State Department had approved a potential sale of the Patriot missile system, including some 100 missiles, to Sweden.The system's missiles are capable of intercepting short- and medium-range ballistic missiles as well as drones.US and European officials have expressed concern that Russia has recently deployed new missiles to its European exclave Kaliningrad, which sits on the Baltic coast between Poland and Lithuania.A US defense official based in Europe said Moscow's recent deployment of its Iskander missiles to Kaliningrad was "the biggest move we've seen" in terms of Russia's militarization of the Baltics. "They've always had ballistic missiles there; this kind of brings a significantly longer range than they had there previously," the defense official told CNN.He said the nuclear-capable missiles can potentially threaten large parts of Poland, Estonia, Latvia, Lithuania, Germany and Sweden. 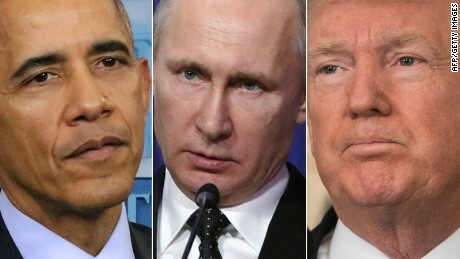 "These sales are a response to not only Russia's increasing military activity, but also to the fact that Russia is modernizing its Air Force and long-range strike capabilities," Magnus Nordenman, the director of the Transatlantic Security Initiative at the Washington-based Atlantic Council, told CNN. "Russia may not have as many aircraft and long-range missiles as the Soviet Union did during the Cold War, but the Russian systems of today are far more capable than their Cold War ancestors," he added.America's allies in the region have sought capabilities that would allow them to counter Russian missiles.Poland announced its interest in the Patriot Missile System with the State Department approving its approval of a possible sale of $10 billion version of the system to Poland in November 2017.While Polish officials initially balked at the hefty price tag, Poland's Minister of Defense Mariusz Błaszczak wrote on twitter late last month that his government had managed to obtain a lower price and accelerated delivery time for the system, adding that he expected Poland to sign a final contract by the end of the first quarter of 2018.Romania, similarly concerned about Russia's military activities in the Black Sea following its seizure of Crimea from Ukraine, has also sought the missile system. Raytheon, the manufacturer, announced last month that Romania had formally signed an agreement, known as a letter of offer and acceptance, to purchase the Patriot system. Poland and Romania are two of only six NATO members that spend the recommended 2% of gross domestic product on defense.And while Sweden is not a member of NATO, it has sought to reinforce its position in the region, increasing its cooperation with the Western alliance and sending troops to the Swedish island of Gotland which sits in a strategic location in the Baltic Sea. "There is real concern in these regions about Russian aggression," Nordenman said.The US State Department said in the statement announcing the sale's approval: "The proposed sale of the Patriot missile system will improve Sweden's missile defense capability. Sweden will use the Patriot system to defend its territorial integrity and promote regional stability. ""The proposed sale will increase the defensive capabilities of the Swedish military and support interoperability with US and NATO forces," the statement added.Finland, another non-NATO member that has expressed concern about Russia's military activity following Moscow's armed intervention in Ukraine, has also sought to improve its military capabilities.The State Department announced this month that it approved the sale of hundreds of millions of dollars' worth of naval weapons, to include Harpoon and Sea Sparrow missiles, to help bolster Finland's navy.And while Finland and Sweden are not members of NATO, experts believe these purchases of equipment will strengthen their relationship with NATO and the US. "Big equipment sales is a great way to invest in a defense relationship," Nordenman said. "You are not only buying a thing, you are also investing in training, exercises, and a linkage with the US that will last for decades."